Opinion: If Netflix is chasing TV, and YouTube is chasing Netflix, where does that leave Facebook? 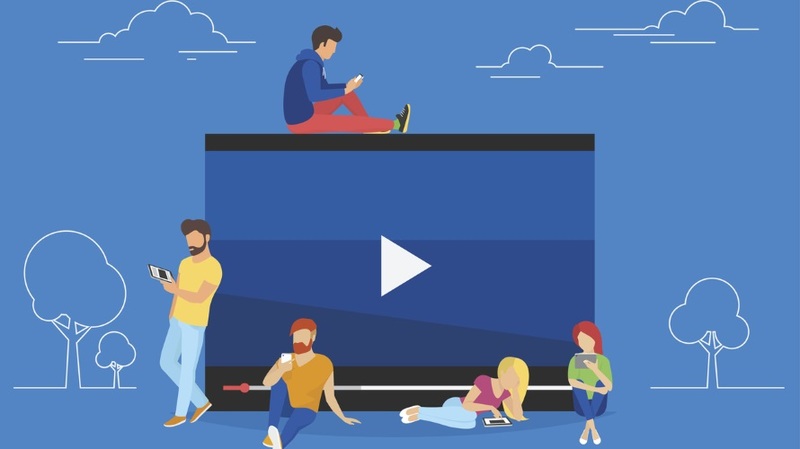 Facebook has, over the past year, explained its view on traditional video content and tried to identify its approach to competing (or dominating) the market. But what is “the market?” And what exactly is at stake? In the online video ecosystem, every company providing content seems to be taking aim at Netflix, which has turned from a subscription service that offers access to movies and TV shows to an all-out content powerhouse. Netflix original shows—a treasure trove of content exclusive to the platform, such as House of Cards and Orange Is the New Black—are attracting (and retaining) millions of viewers worldwide. The key pull for most viewers seems to be the desire to avoid ads and (binge) watch on their own time. Netflix is aiming to replace traditional TV, and it is succeeding to a degree. Alternatively, YouTube reigns as the dominant site for video, attested by its billion strong monthly users. The company has built its user base with short clips and easily shareable videos and a host of semi-professional (and professional) content providers using the site to make their mark. Episodic content, however, has remained a challenge for the behemoth, prompting various initiatives aimed at improving the quality of content. YouTube TV, a $35-per-month 46-channels-strong over-the-top service, is Google’s latest attempt to chase Netflix. But if Netflix is chasing TV, and YouTube is chasing Netflix, where does that leave Facebook? As YouTube is already dominant in short videos, Facebook could be hard-pressed to find a compelling reason to make users leave the Google property. In fact, YouTube is future-proofing, solidifying its place with younger audiences (various studies show that 30 percent more Generation Z respondents go to YouTube every day than to Facebook). In theory, this makes Netflix, not Google, Facebook’s key competitor in video. The challenge here is that premium content is very hard to produce, and even more expensive. The first season of House of Cards cost more than $100 million to make, whereas Facebook is paying content providers $250,000 at most. This number may help Facebook attract content providers from YouTube, but it will not move the needle for premium providers. Facebook’s current approach leaves it stuck between an unstoppable force and an immovable object. On the one hand, the rate it’s paying for content leaves it vulnerable to Netflix’s premium content. On the other, the company will be hard pressed to create an offer compelling enough to get multiple generations to leave YouTube. On the other hand, Facebook has captured one internet territory after another and has positioned itself as virtually unstoppable. It has also shown the ability to integrate best-of-breed products from other companies. Most important, Facebook is by far the preferred platform for a majority of web users. The platform now reaches a staggering 2 billion monthly users (and more than 1.3 billion users are active daily). And so, if one-half of the world’s internet users are on Facebook and prefer to consume content there, Facebook has a real chance of becoming a digital video leader too. Facebook will have to bring enough premium content from other providers, create enough premium content itself and figure out a way to integrate long-form video into the platform in a way that seems as natural as consuming video on Netflix or YouTube. Can Facebook pull this off? Only time will tell. Gil Becker is CEO of video content library AnyClip.